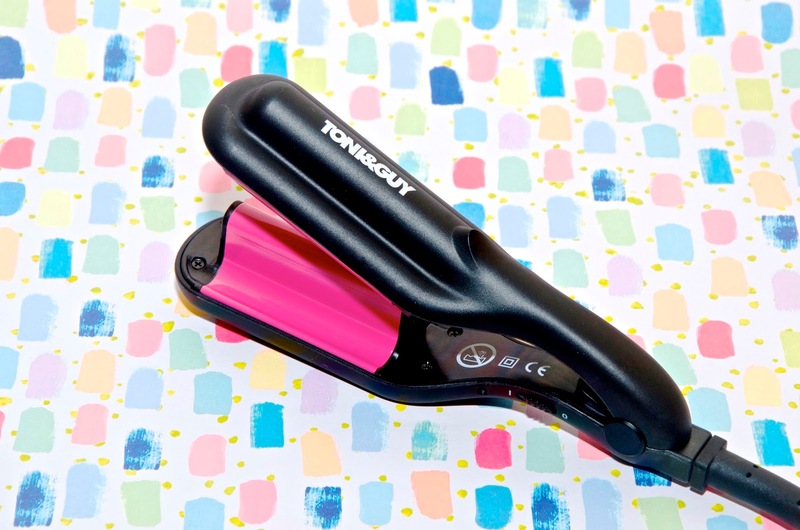 Whether you travel all the time, occasionally find yourself on-the-go for work or are desperate to save space in what seem to be the ever-shrinking apartments available to city dwellers, Toni & Guy Style Fix Stylers are the perfect tools for keeping hair looking great when you're on-the-move. I am always so skeptical of travel hair tools because I've bought tons over the years and they've all been disappointing to say the least. I have tried all three of the Toni & Guy Style Fix Stylers and they work amazingly - in fact, they've become part of my regular, every day beauty stash... I pretty much can't live without them now. 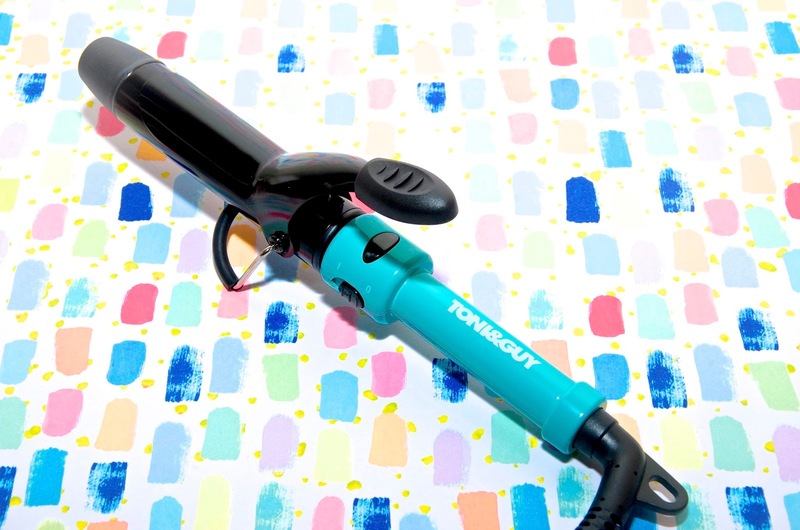 The range includes a waver, a curler and a straightener, so all the bases are covered. 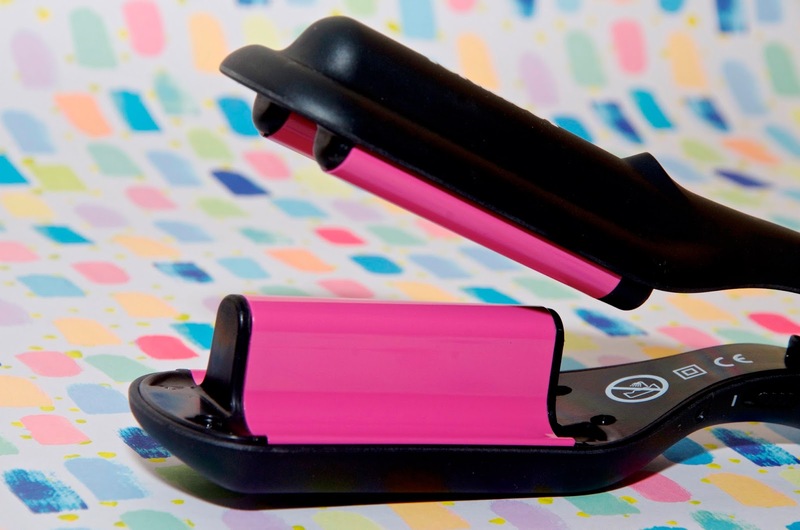 Each one is black, but features a fabulous bright color on the Ceramic Tourmaline plates that aren't just there for looks - they protect your hair and color using a unique Colour Lock Technology. These little darlins are also just as powerful as you'd expect a full-sized hair tool to be, reaching a piping hot temperature of 210°C. Featuring worldwide voltage, the Toni & Guy Style Fix Stylers are perfect for travel and solve the always annoying problem of not being able to pack everything you need for gorgeous locks on holiday. These are also great for going from desk to dinner when you need to touch up your hair after work or for overnights when you might be staying at your boyfriend's house, but still want to look your best in the morning. Stashing one of these little beauties in your handbag is no trouble at all and you'll be glad you did when you get nothing but compliments on your gorgeous hair! When I tested out these products, my first concern was the cord length. So many travel hair tools come with ridiculously short cords, however the Style Fix Stylers feature a 1.8m cord which is more than long enough even for everyday use. 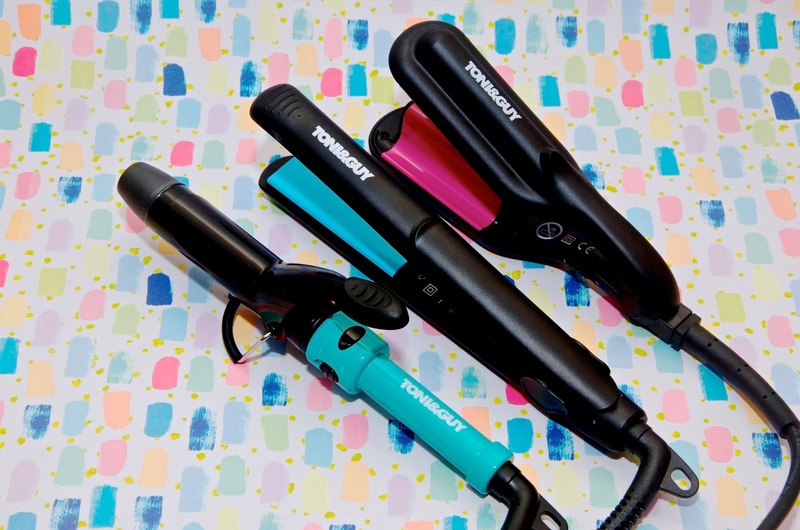 The stylers are hot, effective and easy to use. The bright colors make them really cute and fun as well! The only real difference I noticed between using these and my regular full sized tools is that they are in fact smaller, so I can't fit as much hair on the tools as I'm used to, but it's not a major difference and to be honest, I got used to it very quickly. It's hard to choose a favorite, to be honest. 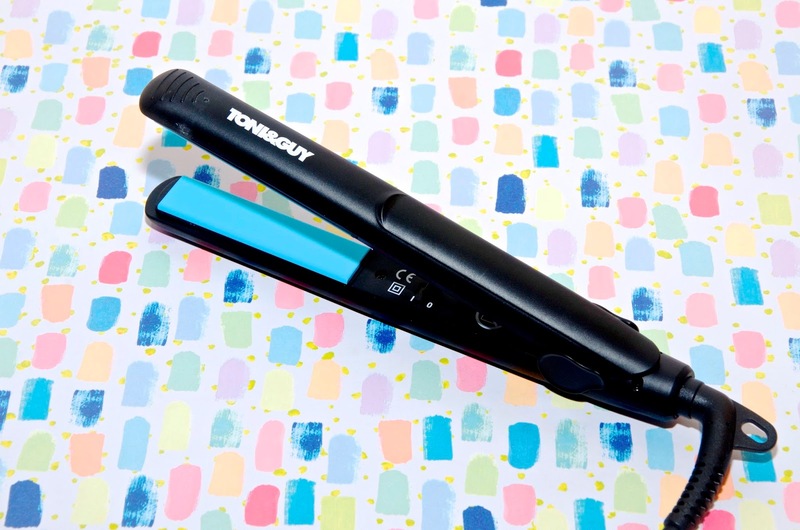 The Style Fix Straightener works really well and it's super handy. I sometimes find it's easier when traveling to just straighten my hair because it works for every occasion. The Style Fix Curler is great as well, though the barrel might be a little big for those with shorter hair. Similarly, the Style Fix Waver might not work on shorter styles either, but I love using it on my long bob for a dramatic, wavy, fun look that lasts for a few days and relaxing a little bit while still looking chic after each passing night's sleep. The waves can look like anything from a Gatsby-type 20's style to relaxed beachy waves depending on how heavy handed you are with the waver. 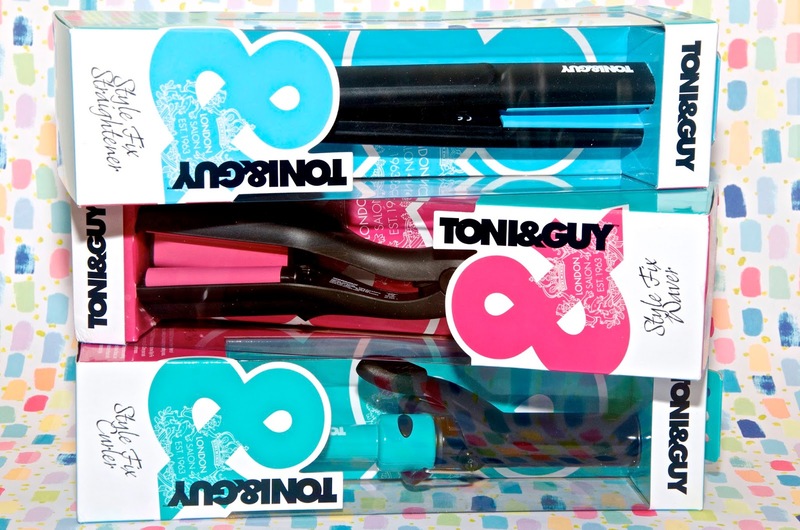 The Toni & Guy Style Fix Stylers are £29.99 each, come with a 5 year warranty and are available online from Boots. For more information, visit stylefix.toniandguyelectrical.com.